Those of you who used to read my old blog (Cute as a Button) may remember that I used to be a teacher. You may not know, however, that I haven’t been teaching since January this year. There were a range of reasons and situations which led to my decision, most of them were fairly small by themselves, but when added together meant that I was no longer happy in my job. Leaving was definitely the right decision, but there are times when I really miss the actual teaching. I don’t mean the part where I was gathering data or the part where I was endlessly marking books, I mean the part where I got to spend time with the kids helping them to do something they’d never done before. Thankfully, there are still occasional opportunities to teach! Well, with such an enthusiastic student, how could I say no?! 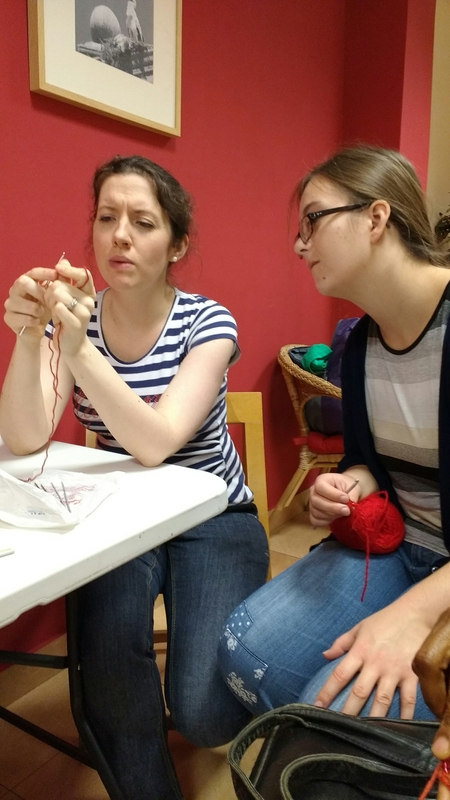 The following day we both turned up to Kofi Jaus with our yarn and crochet hooks. 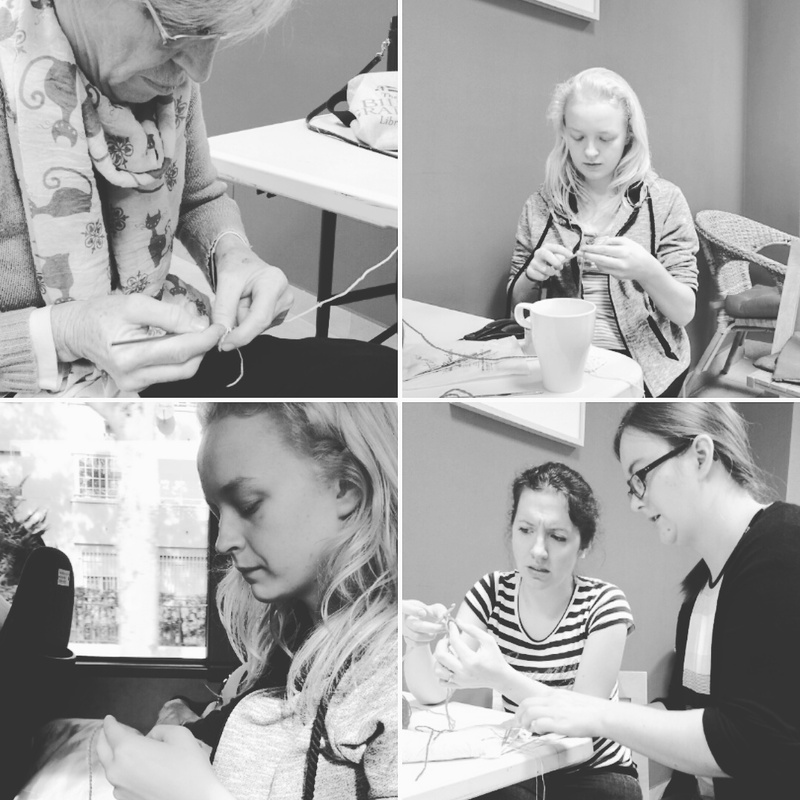 A couple of the other girls on the team also wanted to learn to crochet, so we spent a very happy morning chatting and stitching together. 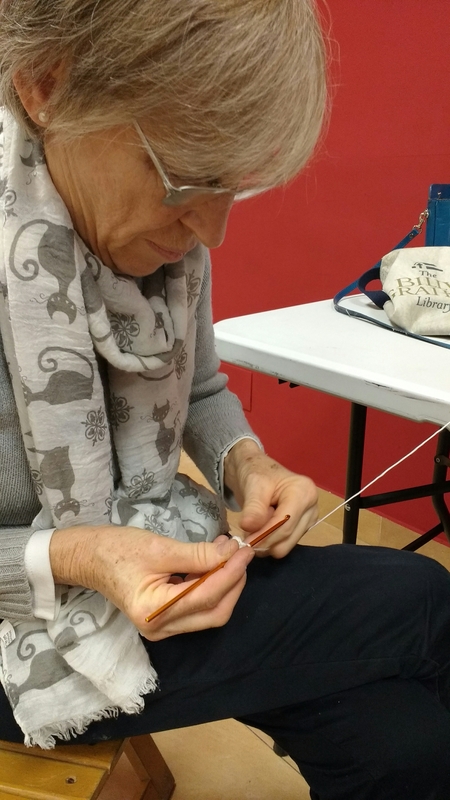 Thankfully one of the other girls on the team can crochet, so she was a huge help when it came to demonstrating stitches out helping our students know what to do next. It was a lovely morning and a great reminder that even though I’m no longer a teacher by profession, I’ll always be a teacher at heart. Oh, there was supposed to be a smiley face at the end of that last comment. Stupid phone.